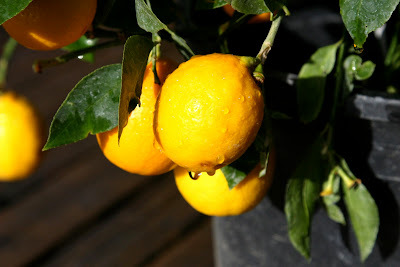 I've been longing for a Meyer Lemon tree for a couple of years now, just to have all that lemony goodness around for cooking would be wonderful. 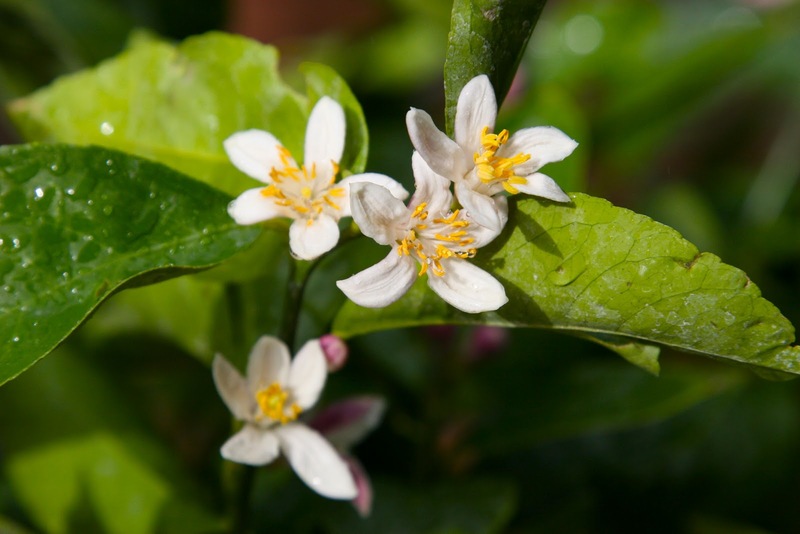 The flavor is a combination of lemon touched lightly with tangerine which adds a bit sweetness. To my surprise, the local Home Depot recently had four Meyer Lemon trees in the garden department for such a reasonable price that I bought two! They were loaded with lemons and flower buds. The added bonus is that when the flowers bloom there is a light floral scent that fills the kitchen where they currently live. I'll move them outside when the danger of frost has past. The citrus trees like an acidic soil which must be kept moist but not too wet and to help the plants maintain moisture while indoors the leaves should be misted everyday if possible. I'll be pollinating the flowers using a Q-tip to help increase the chances of continued fruit production. With this cache lemon deliciousness, I'm developing a Meyer Lemon scone recipe that I'm excited about and will share it with you soon! I can't wait to hear how this works! I want some as well. I put in a small greenhouse- supposedly for spring seed starting...but I'm hoping I can leave it up to move things like lemons into over winter! Thanks! I have high hopes for the trees, but I am currently having little black aphid infestation! Spraying the little buggars with dishwashing soap today.